Lillian Michiko Blakey, Reiko, Alberta 1945, acrylic on canvas, 2009. 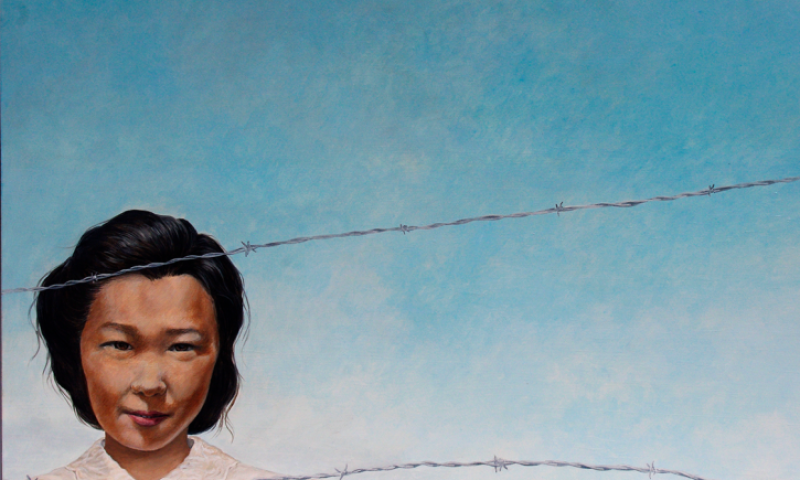 Encounter personal perspectives on the exile, dispossession, and internment of Japanese Canadians during the 1940s through a series of artworks interspersed throughout the Sigmund Samuel Gallery of Canada. This installation features contemporary artists who experienced this history first hand, and those who grapple with their parents and grandparents’ experiences. Being Japanese Canadian prompts us to reflect on the long-lasting ramifications of this historical Canadian injustice, and what it means to be Canadian today.